Make sure to always rehearse the type of shot you want to hit. This is a fact of golf – you need to play this game with your brain as well as your body. How many times has a poor decision lead to poorer execution and a needless bogey or worse on your scorecard (too many times for me to count)? 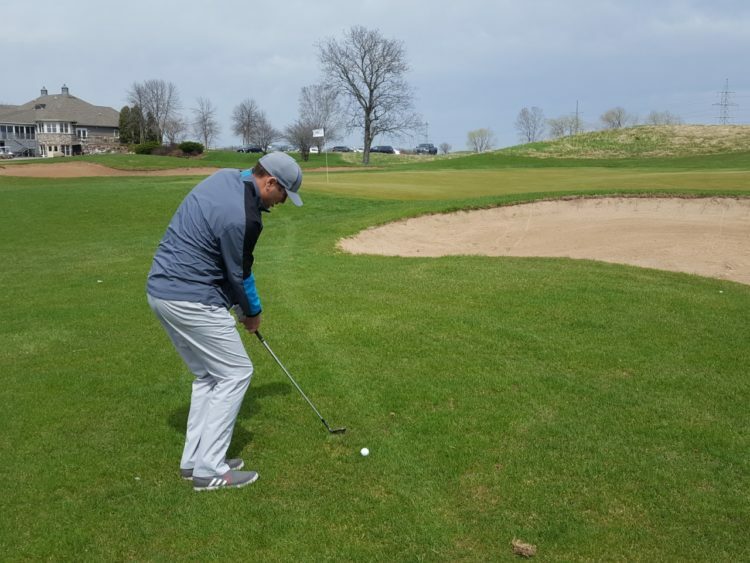 Our resident pro, Andy Podolak is like Farmers Insurance as he has seen it all and offers these suggestions for clearer thinking on the course. When I take students out for a playing lesson, an incomplete mental approach is one of the biggest and most common issues I see that impacts their scoring. Simply put, a lot of golfers hardly ever read and judge their lie correctly, and also fire directly at the flag no matter where it is on the green. Flag hunting with a poor lie is the worst thing one could do and causes many shots to end up in areas very difficult to recover from. Here’s the fix. You first need to read your lie. If the ball is sitting up in the fairway (ball on the left in the top photo) you have a great chance to control spin, distance, and trajectory. If the ball is sitting down in the rough (ball on right in same photo) it will be very difficult to control spin, distance, trajectory. It’s that simple. If the shot from the fairway normally requires a 9-iron you should hit a 7 or 8-iron from the rough and plan for the ball to release once it lands. Also understand not just where the ultimate target (flag) is, but to also notice everything around it as in where the most troubled lies are, and where the most ideal areas are to putt or chip from on the next shot. I call this knowing your biggest best target. In this case on the 9th hole at Fire Ridge GC, the flag is in the back left portion of the green. It’s not only tucked behind a bunker, but there’s trouble all along the left and back of the green. There is a lot of green short and to the right of the pin, with a slope moving gently to the left. Your biggest best target here is –you guessed it – short of the flag and to the right. Missing the green left or long of the flag with your approach will result in a near impossible up-and-down, while a successful shot into this area will leave an uphill birdie putt and a slight miss will still be OK and leave you with a lot of green to work with. Be smart when choosing your approach shots into greens. If you think the lie and pin location is difficult to get the ball close take your medicine and play to the fat of the green and leave yourself a playable chip shot or long putt. If you find yourself in the fairway with a short iron to the green then that is the time to be aggressive and go at the pin. Hopefully this simple way of thinking will make you a more disciplined golfer. 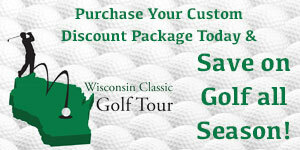 Andy’s Bio: Andy Podolak is the Head PGA Golf Professional at Fire Ridge Golf Club in Grafton, Wisconsin. Andy is currently in his 10th year and before his days at Fire Ridge he played professionally on NGA/Hooters, Various Mini Tours and many Nationwide/ PGA Tour qualifiers. Andy’s lesson rates start at $45 per half hour or $75 per hour session. Various lesson packages are also available and he can be reached at Fire Ridge GC by calling 262-375-2252 or via email at apodolak@fireridgegc.com. Also visit Andy’s facebook page at Podolak Golf Instruction.